QBP’s Service Center has the inventory of parts, the manufacturer service certifications, and the extensive historical-to-current knowledge of suspension and brakes to make it an invaluable resource for any bike shop, whether that shop focuses on road or mountain, or both. Crew member Joe Mauntler is here to give you a virtual tour of its capabilities. The Service Center has years of shop and industry experience that can be unleashed at a moment’s notice—and often is. It’s a phone call away with answers to any technical questions shops may have. Starting with set up, the Service Center can custom tune new suspension components and brakes from the QBP catalog before they arrive at a shop. It’s a great “extra mile” for customers putting together a frame up, pro build. This can include a travel change to dial in the axle-to-crown height on a fork, installation of a different tune kit for a rear shock, or a trim-and-bleed for a new set of brakes so they can be bolted on and be ready to go when the dealer receives them. For forks and brakes that are already out in the field, the Service Center recommends that riders have work performed at least once a year to ensure top performance and help prevent bigger issues down the line. For some bikes, this can be as simple as fresh oil and new wiper seals on a fork or shock, or a bleed on a disc brake. For suspension parts that are on the trail 10 or more hours a week, it suggests servicing at least twice a year. Overall, frequency of service depends on riding time and conditions. 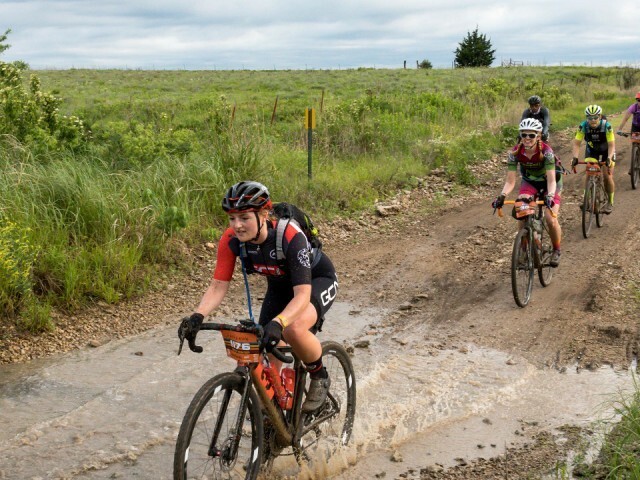 Riding in wet, muddy, or sandy conditions will increase service intervals. The Service Center provides shops with world-class suspension and disc brake repair and maintenance, fast turnaround, and access to a large stock of service parts. When a basic tune-up doesn’t remedy an issue, though, The Service Center offers complete overhaul services on numerous manufacturer’s products as well. For Mauntler and the Service Center team, staying up to speed on the latest suspension developments is an enjoyable part of the job. “Every year we catch up with our vendor partners to learn the new tech, compare notes, and look for ways to improve work processes.” As a result, the Service Center is a certified warranty center for RockShox, Avid, and Cane Creek Double Barrel, and can perform work on those brands, as well as on Magura, Manitou, Marzocchi, White Bros., X-Fusion, Hayes, Hope, Formula and Shimano disc brakes. Dealers can quickly determine if a fork, shock or brake is still serviceable by checking the list of qualified repairs when filling out the Service Center Work Request on QBP.com. If a specialty part needed to complete a repair isn’t in stock, it can get available service parts from any of its vendors in about two weeks. Average turnaround time on incoming services can be found on the Service Request Page and varies depending on the time of year. If a dealer is sending something in that they need back as quickly as possible, the Service Center offers premium service for a $25 upcharge, which moves their repair to the front of the line as soon as it arrives, and guarantees a 48-hour turnaround provided all the needed service parts are in stock. Quite arguably the best part about QBP’s Service Center? Its work is backed by a 90-day performance guarantee. Dealers can rest assured that the Service Center makes excellent service a priority. Dealers are invited to give the Service Center a call if they’re unsure about model years of parts that need service or anything else that they want to send in. QBP’s customer service agents have tools to identify fork models, and years, and can assist dealers with general troubleshooting or RA setup, as well. Give your customers who have purchased new suspension and hydraulic disc brake equipped bikes, and customers bringing in similar bikes for service, tips for easy maintenance they can do on their own to prevent costlier repairs or replacements in the future. 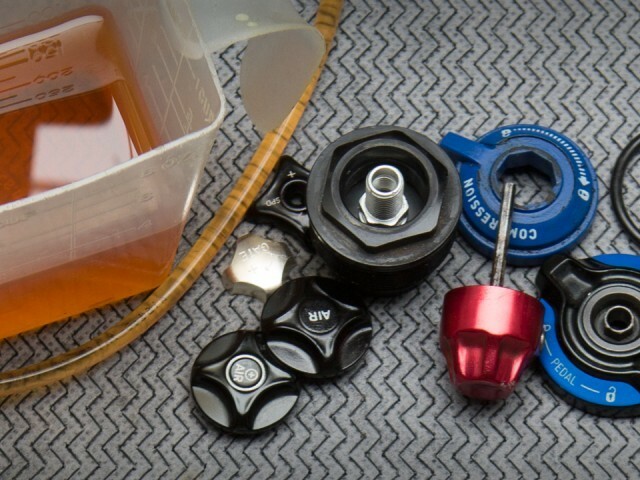 When riders get in the habit of following these simple tips, many things that can go wrong with these components can be prevented, and they can enjoy better performance and longer life out of their equipment between basic annual tune-ups.